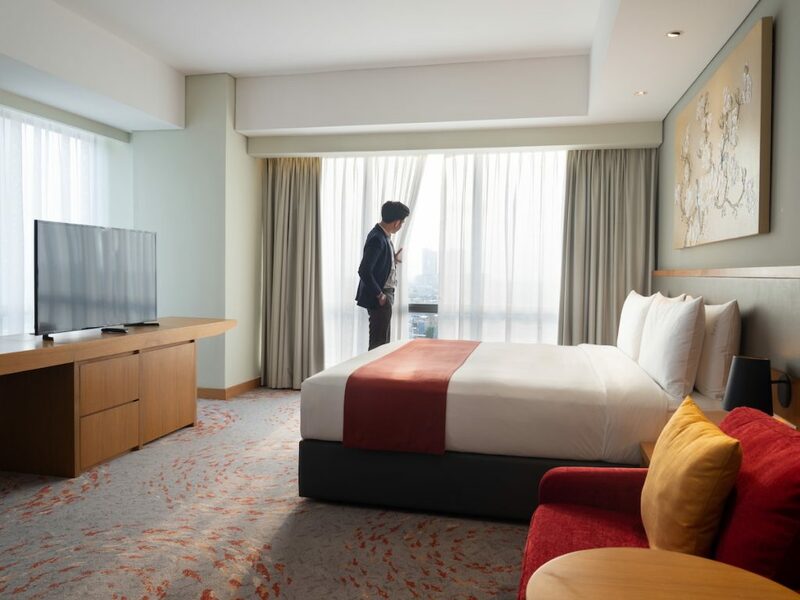 Opened in December 2018, the Holiday Inn & Suites Jakarta Gajah Mada is the key to carrying out various business and tourism affairs at one time in Jakarta. 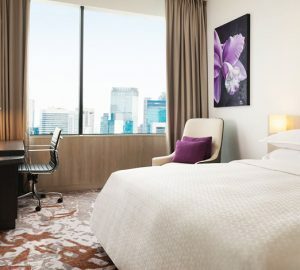 Hotels under the auspices of the InterContinental Hotels Group (IHG) is located in a very strategic location, namely in the center of business, government, and entertainment in the Gajah Mada area of Jakarta. 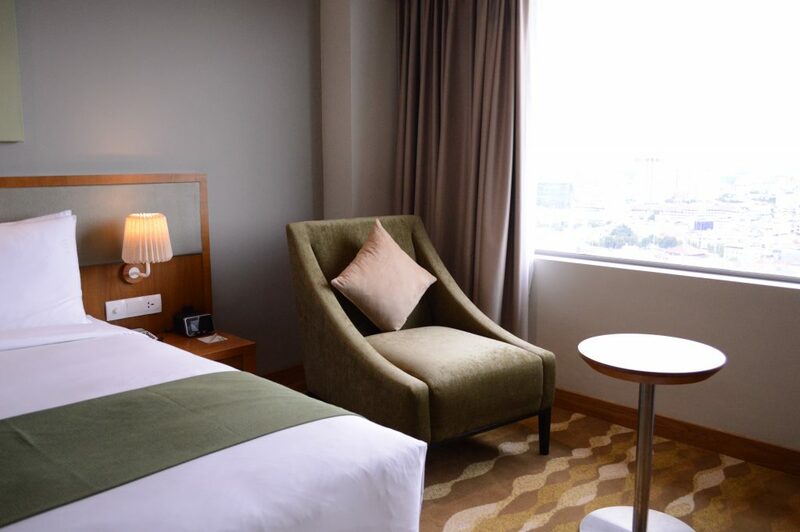 Having 442 rooms, Holiday Inn & Suites Jakarta Gajah Mada not only offers comfort but also a homey impression during your stay. We share this experience with you. Specially designed for long-stay guests, there are several types of rooms offered. 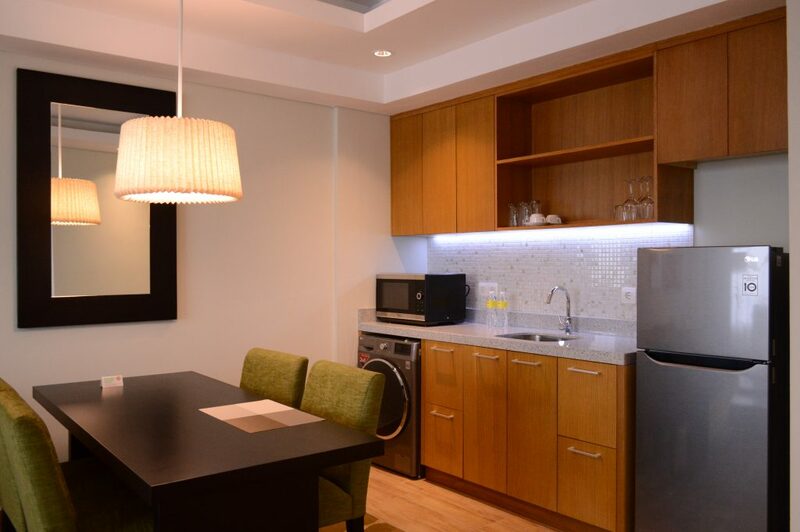 First, a spacious studio with a bed equipped with TV, a bathroom shower in the corner, separate dining room, kitchen, washing machine, and dryer. Then there is a more spacious a one-bedroom suite equipped with a work desk, 50-inch TV, 1 elegant shower bathroom, separate living room with soft sofa, dining room, kitchen, washing machine, and dryer. 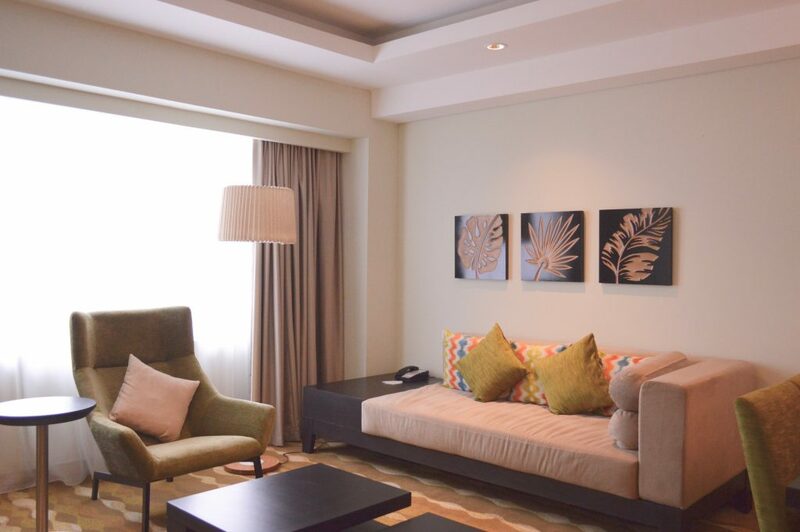 A soft green sofa is also provided in the bedroom to enjoy the city view. The third is a two-bedroom suite equipped with TVs in each bedroom, dining room and kitchen, living room with large sofa, two bathrooms showers and work desk. 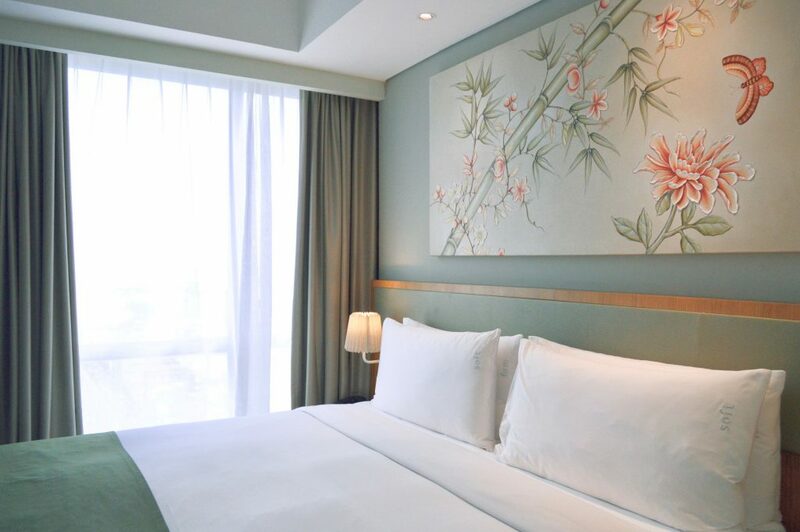 These three long stay rooms provide city-view in the window and a nature painting in each bedroom. Each room also has a piece of ironing equipment. 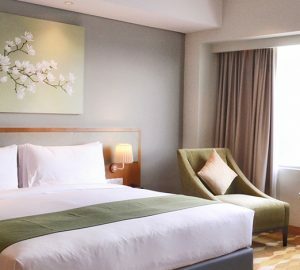 Offering a spacious room starting from 40 sqm completed with room amenities such as signature soft and firm pillows, comfortable bed and large bathroom, 50-inch television, iPod dock, safety deposit box, ironing facilities, etc. You can relax in a room with your favorite person while watching TV. Feels like home right? 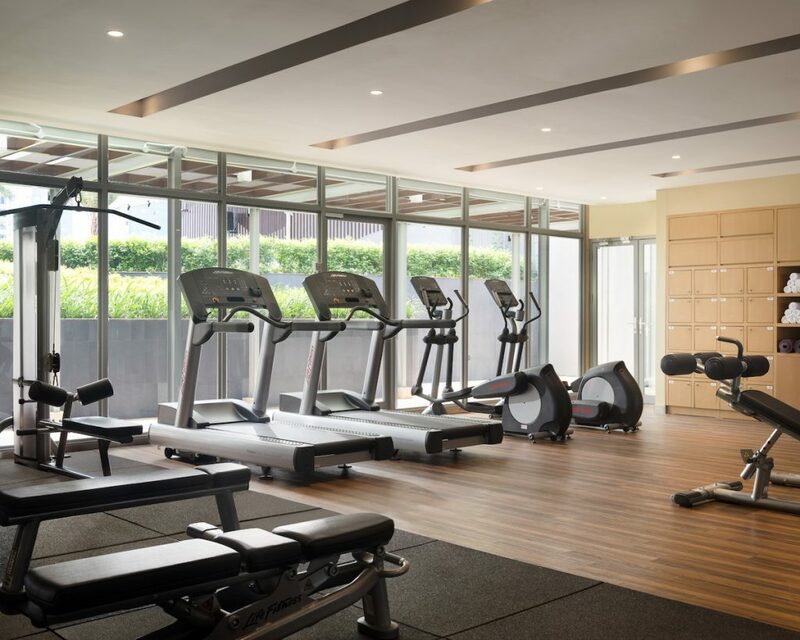 Holiday Inn & Suites Jakarta Gajah Mada offers all features that guests can expect including gym facilities, Tea Tree Spa, swimming pool along with kid’s pool. Multiple dining options are also available in the hotel’s three F&B outlets – Duta Café, Duta Lounge, and Pool Bar – all designed to offer a vibrant experience for guests to enjoy. 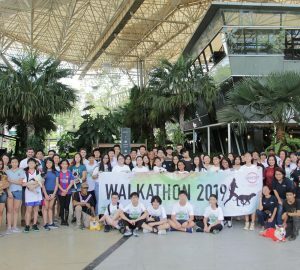 Last but not least, the hotel is located at the heart of key business and leisure district in Gajah Mada and surrounded by many attractions from historic sites such as Old Batavia city and the hotel is connected to Citywalk Gajah Mada for having shopping, dining and entertainment experience.